When I did the bread and grain demonstration last week, I tried to share some interesting, simple recipes using whole grains. 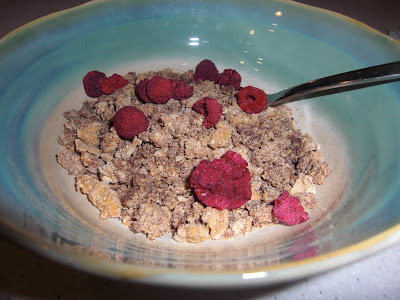 This is one I don't make all the time, because really Grape Nuts you buy at the store have very few additives...but I love that I know how and it is ridiculously cheap to do. If I couldn't get to the store...think massive swine flu outbreak...we could eat grape nuts to our little hearts delights. Mix dry ingredients. Add maple with electric mixer. (I add 1/4 cup, we like to sweeten when we eat.) Add only enough water to moisten. Mixture should be fine. Spread on 2-3 baking sheets, lined with parchment paper. Bake at 325 for 10 minutes. Stir, Bake 5-15 minutes longer until desired color and crunchiness. Makes 1 qt. One of these days I will have time to make many of your fabulous recipes! I loved reading about your trip too! I am glad it was so good for you!